Written for the Nashir Choral Festival in the Bronx, New York, Nick Page uses many elements from his arrangement of Niska Banja: the key of F, the piano ostinato, the pedal tones in the chorus, and the driving pulse with the tenor and the alto drones. 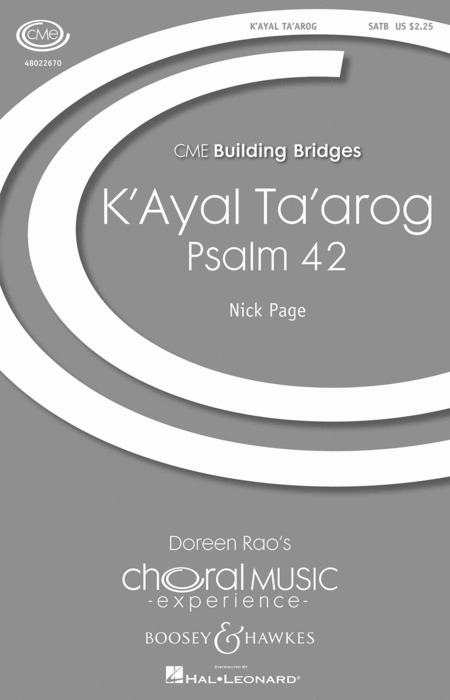 This arrangement of Psalm 42 is strong and forward moving with a vocal, percussive feeling. Duration: ca. 4 min. 10 sec.